Is there any way to use some internal functions of QWidget inerithed class from a QTableWidget? How to sort a QList of QGraphicsitem by coord x or coord y? Why does my toolbar dock to the incorrect location? I'm facing a strange issue when trying to add a QMainWindow to a QGraphicsScene. For all intents and purposes, please do not recommend me to use the QMdiArea as the alternative, because that distracts away from the actual issue I am having and it does not fit my needs. Here is the minimal example that exemplifies 2 key issues, both of which I believe to possibly be Qt bugs. tl;dr: I'm creating a custom mdi area within the QGraphicsView with a custom Dock and layering manager. I need each subwindow to have a dockable QToolBar, much like a QMainWindow, but only the QMainWindow supports this feature out of the box. Each subwindow is the overarching QWidget in my example above. Before converting the "inside" contents of my subwindow to a QMainWindow, everything was working fine, and even as a QMainWindow, everything is still fine. However, once I add the QToolBar to the QMainWindow everything begins to go wrong. The QToolBar will incorrectly snap to the wrong location within the QMainWindow. Look closely at the predefined rectangular area when dragging and hovering over a valid dockable location and use the red border as a guide. The debugger may have over 50 greyed-out function callbacks, sometimes the same, sometimes different. Notably I've seen the QPropertyAnimation mixed in those callbacks, but not every time, so I can't pinpoint it and I feel like I'm going mad. Now, you might think that this has to do with the QMainWindow being embedded as a QGraphicsProxyWidget within the QGraphicsScene and just having a side effect from that... but no. If you instead add just the QMainWindow to the scene directly and bypass using the QWidget that contained it, then everything works fine. Snapping works with no offset issues and there are no more crashes. Due to this interaction I'm almost convinced it is a Qt bug and would like to submit a bug report using this post as a base. If I'm missing something or need to update my graphics drivers, I will. However, it doesn't explain why the snapping does not match the QMainWindow's rubber band rectangle placement when you're dragging. What's wrong? Any idea? I'm working on a CentOS and Python 3 environment. I'm creating a school project involving type of a card game, and I'm using widgets as the cards, so I can display tooltips on them easily. I've run into a problem, where I have added a QTextEdit to the screen, and my goal is to make it work like a console. This part is working by returning the given text to python as a plaintext. My problem is, that when I send the program to another class, the whole screen freezes, and I cannot input more commands that to 'console', since the window is not working. I was wondering, is there a way to keep the screen running real time without adding threading, which is too complicated to me? I've tried to use QTimer, but haven't been succesful. Here is an example how the program should run. Comes back, and adds the needed widgets. When I try to add the events which happen depending on command, the QApplication won't run, but works fine without them. If this explanation is unclear, feel free to ask more questions. [cmake]   target on Windows. Run "cmake --help-policy CMP0020" for policy details. [cmake]   Use the cmake_policy command to set the policy and suppress this warning. [cmake] This warning is for project developers. Use -Wno-dev to suppress it. Automatically link Qt executables to qtmain target on Windows. dependency to the qtmain.lib static library manually on Windows. qtmain.lib automatically when they link to the QtCore IMPORTED target. automatically when they link to QtCore IMPORTED target. the cmake_policy command to set it to OLD or NEW explicitly. and may be removed in a future version of CMake. But I don't understand what I'm doing wrong by using Qt in the CMake project. How should I modify the CMakelists.txt in order to use Qt properly and remove the warning? Please guide me how to add scrollarea to widget. One of the purposes of my program is to allow users to draw a map composed of different roadblocks in a QTableWidget. I created different classes for each type of roadblock, the more complex one is Straight Horizontal and Straight Vertical, which contains also the directions on the lanes. Now I'm working on a part of the program where I can print the information on the roads in a .txt file. Now, the road that is not straights are simple and I can print them with a simple whatThis() function, but if the whatsThis() get a Straight road, I need to print also the different lanes. In the classes of the roads I have the two getters "getLane1()" and "getLane2()" but I don't know how to access them. "r" and "c" are respectively the row and column of the cell being accessed, all the code below is inside a for loop that goes over all the rows and columns of the table. What I do in the program is also add these straight roads on a list for other purposes, and from the list in can obviously can access these functions, but I can never be sure, based on cell and column which road in the list I'm asking access when I use the . Is there a way to create a list that can contain also these two values to know precisely which roadblock is being taken into account, something like an alias? I've tried to use an array but I wasn't able to compile for I don't remember which problem (that's why I'm using lists). I hope I explained my problem in a good way, and I hope that someone can help me! 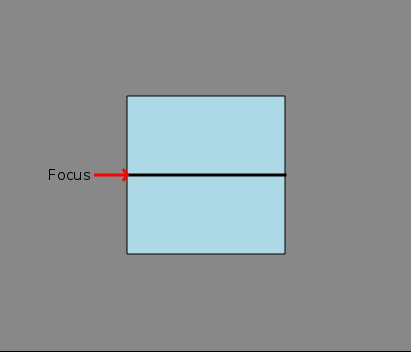 The dimensions of the blue box are dynamic and the arrow and label may also be drawn in different places. The sceneRect() is defines a coordinate system in relation to one variable (essentially the height of the blue box). I can draw the rect and the lines in the expected places, but when I add a QGraphicsSimpleTextItem for the label, I can't get it positioned correctly. I create the simpleTextItem, add it to the scene, then measure it's width and height (using boundingRect()) which gives me the w/h in pixels. I then try to convert that width and height to scene coordinates using mapRectToScene() but do not get what I expect. I get the same values as in pixels. I've looked in the debugger at the results of all the item->mapRectTo/From methods and nothing seems to give me what I expect. Each method returns the un-transformed boundingRect from the text item. What should I be doing to get the proper offsets (in scene coordinates) for the label->setPos() to get the label where I want it (left of the arrow, horizontally aligned with the middle of the arrow)??? // coordinate system is -1.5 to 1.5 in X and Y. For a project in programming class we need to develop an application and have to use PYQT5 for the GUI. and leave the parenthesis empty, only the buttons in snippet 3 are displayed. What is the meaning behind the following assignment? Are you able to combine the vertical and horizontal box layout into a single one and therefore display the two buttons as well as the two graphs as the central widget? This was my original plan and I tried some things with the addLayout() and setLayout() options and wanted to add these layouts to the setCentralWidget() but was not successful. Do you have an idea on how to display a combination of multliple box layouts as the central widget in a class based on QMainWindow? Im trying to pass credentials in __main__ to Files(). What is wrong? Before when I had only one main class without tabs it worked.... What is the best way to pass credentials in this case? Im asking because im goin to use these credentials in other tabs. Should I create subclass only for credentials? In code i put multiple ################# when i have problematic places. So I'm creating a text editor to edit python files with PyQt4, and I want to have an autocompletion system to suggest keywords when you type. I am able to create a functional system with a QLineEdit and QCompleter, but that doesn't work with a QTextEdit. Does someone know how to do this? I know that someone already asked this question and got an answer, but the answer shows how to make an auto-completer for a QTextEdit window. My window is a QMainWindow, with a QTextEdit as a widget, so I'm not able to make it work... Is there a different way to do it because it's a widget in a main window? If not, could someone help me to set it up? 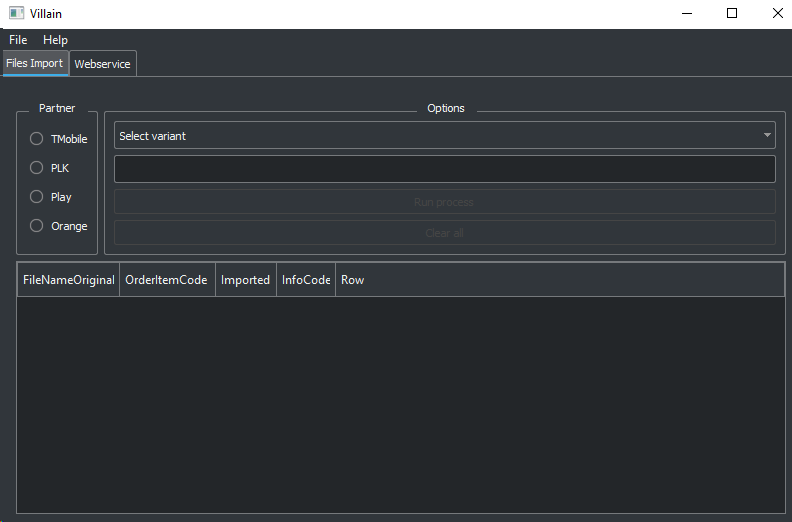 I am going to connect two widgets made with pyqt. To change the contents of the first widget's textbrowser in another widget, I assigned setupUi to init of the first widget, and assign a character to the textbrowser. 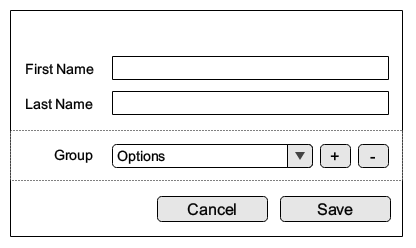 then setupUi will re-run and the toolbar will be incremented by one. To show the textbrowser, I need to initializing setup Ui but when setupUi run, Toolbar overlaps. I don't want to show the toolbar overlaped. I have a QToolBar inside a QDockWidget and I am dynamically populating the toolbar with QToolButton instances. This dock widget is on the right hand of the screen with others on the left. It starts up with a reasonable size but when I add more tool buttons than there is space for, the dock widget will expand as much as possible. I'd rather it keep the original size and have the tool buttons end up in the overflow area of the toolbar. I've tried setting a fixed size constraint on the parent layout but this just results in the dock growing or shrinking as tool buttons are added or removed. I have a weird scenario. I create a QMainWindow that is embedded in a QGraphicsScene. I want to have multiple QMainWindows each with a toolbar inside the scene. I'm simulating an MDI Area, without using the QMdiArea class. What happens is the QToolBar will spawn in the correct location on the embedded QMainWindow, but when it's moved and docked anywhere, it will snap too far up and too far to the left. I've added outliner code to outline the toolbar so you can see the toolbar box. Why does the toolbar do this weird snapping effect? I added the QMainWindow into a QWidget on purpose, as it's needed for something I'm doing. I realize that embedding just the QMainWindow has the desired interaction, but I need it embedded in the QWidget. I also realize that not having parents are bad for memory management, but I handle that as well. I'm on Qt Version 5.10.1 and I'm using Redhat as my OS.